Explore Helsinki’s finest locations onboard this 24/48 hour hop-on hop-off bus tour through the Finnish capital. With spectacular sights of Helsinki’s most iconic landmarks including the Sibelius Monument, the Rock Church and many more. 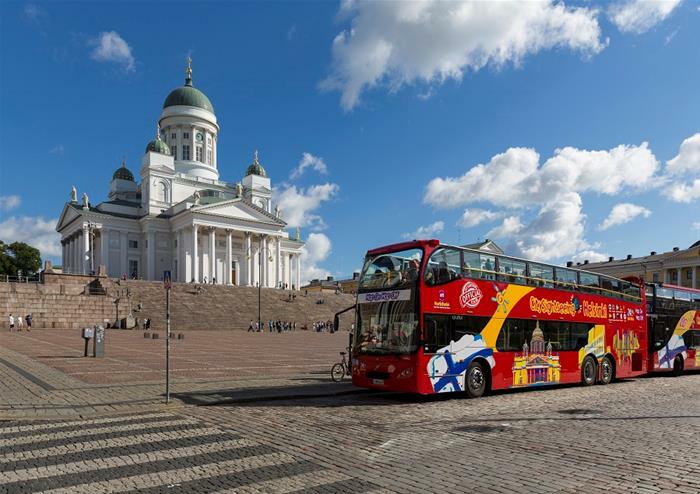 This bus tour will take you to the Senate Square where you have an array of important landmarks of the city – the National Library of Finland, the University of Helsinki and Helsinki Cathedral. As the tour drives you through the heart of the city, you will get to soak in panoramic sights of the coast which is sure to be a perfect picture moment! 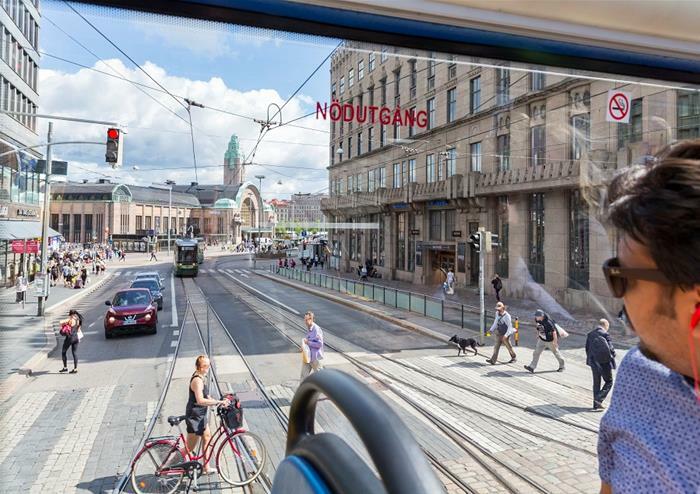 If you’re looking to venture into cultural Helsinki and experience the hustle and bustle of the city then hop off at the iconic Market Square where you can grab a bite to eat or shop around for something truly unique to Finland. Other key locations for you to explore include the Rock Church, Sibelius Park and the Swedish Theatre.